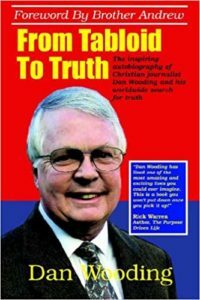 NORTH WALES, UK – International journalist, Dan Wooding, who is one of the few Christian reporters ever allowed to report from inside of North Korea, has urged President Trump to speak out on behalf of the heavily-persecuted North Korean Christians in a summit with Kim Jong-un. Wooding, 77, the founder of the ASSIST News Service, made his plea to the American president during a live Skype interview with Perry Atkinson of Dove TV based in Medford, Oregon, on Tuesday, June 5, 2018, from his new home in North Wales, UK. 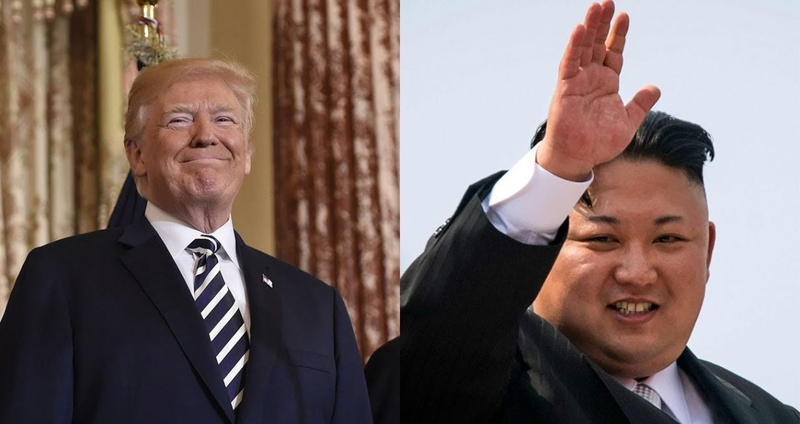 The much-anticipated summit between the two leaders is due to take place in Singapore on Tuesday, June 12th, and the denuclearization of North Korea is expected to be the main topic. However, Wooding says that this is a vital moment where Trump can use his “Bully Pulpit” to speak out on behalf of the believers of North Korea, a land that Open Doors has listed for numerous years as the world’s worst persecutor of Christians. “There are thousands of believers in appalling labor camps inside the Hermit Kingdom, and it would be great if President Trump could get them freed and also speak out on behalf of the millions of other Christians who are forced to meet in secret,” said Wooding. The journalist also shared that there are even “underground believers” who each Sunday, take shovels into the countryside, dig a hole, and literally hold their worship services underground. 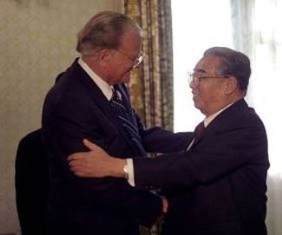 Wooding also talked about how, near the end of his life, North Korean founder, Kim Il-sung, began to recall his childhood when his Christian mother would sit him on her lap and teach him the Bible. 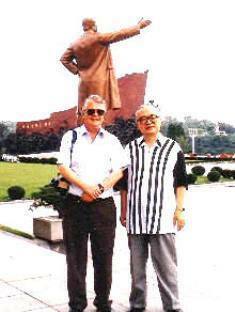 Wooding then said that maybe even Kim Il-sung may have shared about Jesus with his grandson. To watch the interview, please go here. Dan Wooding, 77, is an award-winning journalist who was born in Nigeria of British missionary parents, Alfred and Anne Wooding from Liverpool, and is now living back in the UK with his wife Norma, to whom he has been married for 55 years. They had lived in the US for 36 years and returned home to be close to their two sons, Andrew and Peter, and six grandchildren. He has a radio show and TV shows all based in Southern California, and has also authored numerous books. Dan is one of the few Christian journalists to ever be allowed to report from inside of North Korea. His own life story has been turned into a screenplay by screenwriter, Claire Hutchinson, and is represented by Hollywood agent, Terry Porter. For more information, please e-mail Dan at danjuma1@aol.com.